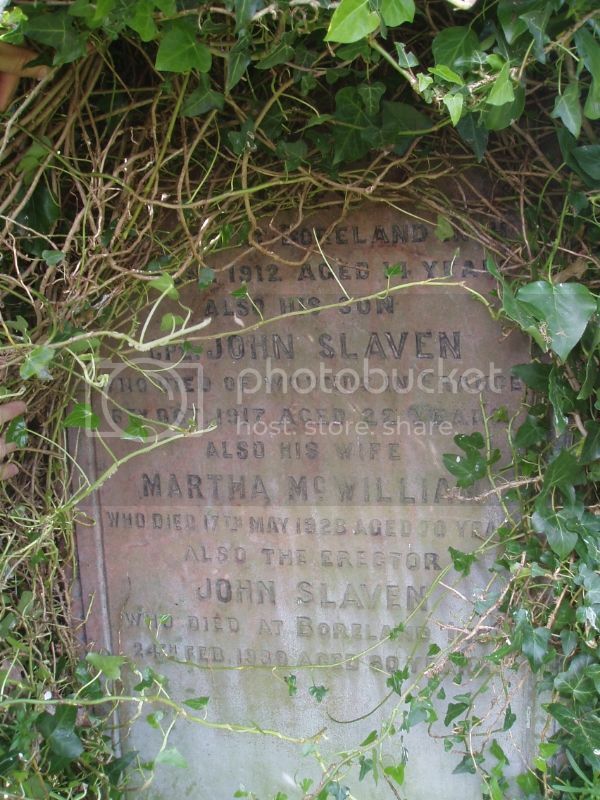 Additional Information: Son of John Slaven, of Boreland, Stranraer, Wigtownshire. Wigtownshire Free Press (7 June 1917) reported Corpl Jack Slaven, KOSB, (son of Mr and Mrs Slaven, Boreland Dairy, Inch) has been awarded the Military Medal for capturing seven Germans, single-handed, in a dug-out in the attack on Vimy Ridge. Private Slaven enlisted immediately on the outbreak of war, and was wounded in action on 12th July 1915. He rejoined his regiment in France thirteen months ago. (18 October 1917): At Clearing Station in France on 6th October, Corpl John Slaven, KOSB, fourth son of Mr & Mrs John Slaven, Boreland, Stranraer. [Notice inserted by] his brother and sister-in-law (Maggie) Over Mills, Ayr. (25 October 1917) a further notice inserted by his brother Seaman Fergus Slaven and sister-in-law Grace, Main Street, Drummore. (1 November 1917) carrying Corpl Slaven’s photograph. In addition an edition on 29 July 1915 carried an article (with photograph) of how he had been saved from a bullet in the heart by the Bible he carried in his top pocket. The Bible had deflected the shot and he was wounded in a less serious place. Wigtownshire Free Press (23 January 1919) reported: Mr William Graham, Cairnhandy, Ardwell, has been informed by the War Office that his son, Pte Alex Graham, 1/5th RSF, formerly reported missing, was killed on 1st October last during action in France. Enlisting in July 1915 Pte Graham had served over two years in Egypt, and lately been transferred to France. He had not long returned to the front after a short run home on his only leave. He was in his 24th year. Before joining the Army, Pte Graham had been over five years in the employment of Mr John Fisher, Barnsallie, Glenluce. His eldest brother John joined the army in Western Australia, and was with the Australians at their first terrible landing on Gallipoli. No further news has ever been received of him, and it is feared he was either drowned or killed then. I was unable to find the headstone for Pte Graham on my visit. According to the survey carried out by the Dumfries & Galloway Family History Society it is located close to that of Pte Slaven (see above). 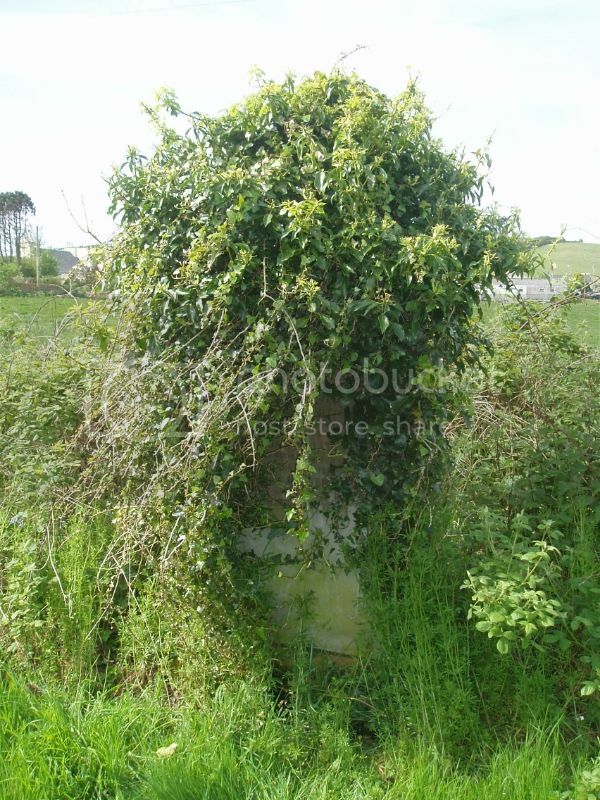 This is in a particularly overgrown part of the cemetery and some of the stones are damaged. According to the survey the inscription reads: Erected by William Graham in loving memory of his wife Jeannie Muir who died at High Ardwell 8th Jan 1914 aged 42 years. Also their son Pte Alexander Graham killed in action in France 1st October 1918 aged 24 years. Also his son Douglas Kelly Graham who died 2nd May 1921 aged 17 years. Also the above William Graham who died 2nd October 1924 aged 56 years. Also his mother Annie Graham who died at Dhuloch Mains, Kirkcolm 31st July 1889 aged 44 years. 22 October 2015 Wigtownshire Free Press has reproduced the report in the October 28 1915 edition of the death of Sergt Robert McDonald as follows: "DEATH OF STONEYKIRK SERGEANT. On Monday Mr C McDonald, Awhirk, Stoneykirk, Received official intimation that his son, Sergt Robert McDonald, 1/5th King's Own Scottish Borderers, died in a hospital in Reading on 24th inst, the cause of death being acute dilation of the heart. The Army Council expresses sympathy and regret at the loss Mr McDonald and his family have sustained. Sergeant McDonald was a Territorial, and at the outbreak of war he volunteered for foreign service. He was for a number of months at the Dardanelles before he was invalided to England. Previous to the war, McDonald was employed on the railway at Hamilton. He was only 22 years of age. The remains are to be interred during a service in Stoneykirk Churchyard today.